Can Just One Drink Ruin Your Sleep? 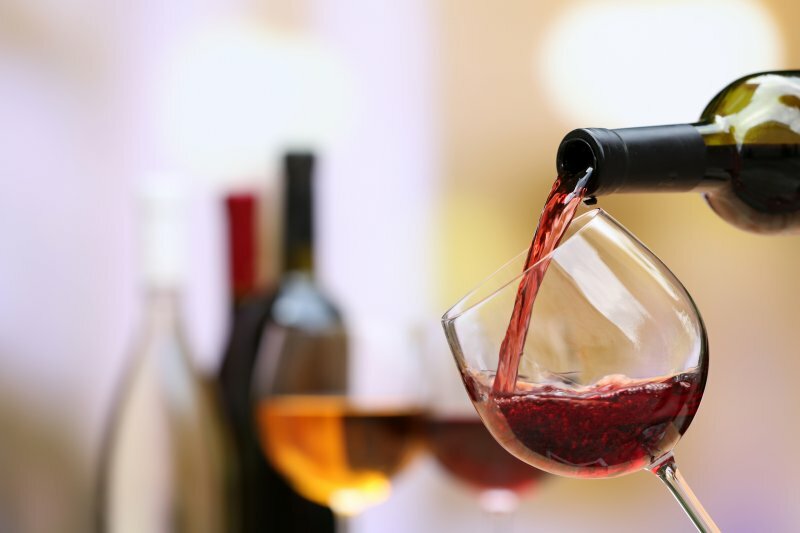 You probably enjoy the occasional glass of wine with dinner or cocktail with friends, but did you know that even light alcohol consumption can negatively impact your sleep? Does this mean you should avoid alcohol altogether? Today, we dive deeper into the connection between alcohol and sleep to discover if a harmonious relationship between the two is possible. How Does Alcohol Affect Sleep? Research suggests that, as a depressant, alcohol does help you fall asleep faster, but those effects quickly wear away after just a few hours as your body tries to eliminate the alcohol from your system. According to the National Sleep Foundation, one explanation for poor sleep after drinking is that the production of adenosine (a chemical in the brain that acts as a sleep-inducer) increases while drinking, allowing you to go to sleep quickly — however, this chemical quickly subsides, making you more likely to wake up throughout the night. Drinking before bed is also linked with more slow-wave sleep patterns called delta activity, but alpha activity, which indicates wakefulness with eyes closed and often precedes sleep, is turned on at the same time. Experiencing these two brain wave activities at the same time is thought to inhibit quality rest. Additionally, alcohol inhibits REM sleep, which is often considered the most mentally restorative phase of sleep. The study also showed that alcohol affected men, women, and both active and sedentary individuals similarly. Perhaps surprisingly, it found that alcohol affected the sleep of younger people more than it did older adults. Allow at minimum three hours between your last drink and the time you go to bed. Drink water along with alcohol to help flush the alcohol out. Drink alcohol as you’re eating a meal — since you’re likely eating a few hours before bed, this is a good way to keep drinking in check. Avoid alcohol if you’re taking sleeping pills—both are depressants, and in combination, they can make it very hard for a person to breathe while sleeping, so much so that it actually becomes dangerous. If you find that you persistently snore whether you’ve been drinking or not, it could be due to a sleep disorder, such as sleep apnea. When a person is diagnosed with sleep apnea, it means that they have short and frequent breathing cessations during the night. These cessations force the body to partially rouse itself over and over again in order to restore proper breathing, preventing sufferers from getting the deep, restful sleep they need. The most common type of sleep apnea is obstructive sleep apnea (OSA), and it occurs when the tissues in the mouth and throat relax and block the airway during sleep. Alcohol can make existing obstructive sleep apnea and snoring worse — and higher levels of alcohol consumption can even increase a person’s risk for sleep apnea — so those with sleep apnea should pay special attention to their drinking habits before bedtime to make sure they’re setting themselves up for the best sleep possible. Of course, good drinking and sleeping habits alone won’t be successful in treating sleep apnea symptoms as the disorder is a serious medical condition that requires proper treatment. One treatment available is an oral appliance, which looks similar to a retainer or mouthguard and props the jaw forward during sleep, allowing for better airflow. At Sleep Better Georgia, oral appliances are our speciality. If you experience consistent snoring and and any one of the symptoms listed above, it may be time to talk to someone about your sleep issues. Schedule a free consultation with Dr. Rodgers and the team at Sleep Better Georgia today so we can get to the root of your sleep problems and help find the solution that’s right for you. Comments Off on Can Just One Drink Ruin Your Sleep?